1.1 How do you get rid of dog dandruff ? 1.2 Groom Your Pet Dog Regularly. 1.4 Wash With Lime Juice. 1.5 How To Mix Hydrogen Peroxide? I’m sure you know by now, how dog dandruff can be devastating to your pet as well as the quality of relationship you enjoy with your dog. Last Monday saw myself sharing with the community a few tips I have been using to make sure Tess( my Stafford terrier dog breed) to control her dog dandruff breakout that has made her a little uncomfortable and sometimes worrisome as she is fidgeting and scratching quite a lot. Now with dandruff and scabs treatment costing an arm and a leg, the last thing you want on your pet is to let these itchy scabs take root. Frankly speaking, I was overwhelmed by an avalanche of questions from many folks in our Pet Club private group. To quickly address some of those common questions, I have quickly put together this post, sharing in detail how and continuing to treat Tess from severe dog dandruff, so I do not have to worry about the consequences later. How do you get rid of dog dandruff ? If your dog has dandruff and itching often, you need to get dandruff and itching under control. Dog dandruff can cause severe itching and dog skin irritation fueled by the dog scratching. The problem with this severe itching is that it can mostly be an issue with an allergic reaction to food, dog shampoo, flea bites and lack of routine dog hygiene. Any dog that has dandruff and itching altogether will scratch and possibly whinge all day and night. That is how my Tess used to be. And We did not tell why she suddenly was so irritable, restless, itching, scratchy and whingy until we watched her on our Doggy Cam that we set up in the house for us when we all go to work. In short, to get rid of dog dandruff, there are a few essential steps you have to complete almost religiously routinely. But if you are wondering what causes dandruff? The answer is really simple, dogs and humans are not that different when it comes to dandruff causes and the impact it has on them. 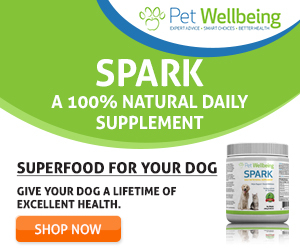 Dogs suffering from a severe outbreak of dandruff and itching means they are either allergic from food, the protein contained in their dietary supplements or allergens transferred from humans to dogs. Dander in dogs, also known as dead skin cells, can flak and cause havoc in a dog’s life if you as a pet owner do not take on preventative measurements to get rid of dog dandruff. Flaky skin in dogs can be caused by skin dryness as well, so make sure that before you jump into conclusions, you understand what sort of dog dandruff you are dealing with and why there is a sudden breakout. Groom Your Pet Dog Regularly. The call to groom your puppy from time to time sounds basic, unfortunately not all pet owners understand the severity of missed bath times in dogs that are susceptible to dandruff and itching. A good pup bath once or twice a week, making sure that you are also using recommended puppy dandruff shampoo is a simple way to maintain your dog’s coat and keep dandruff at bay, it’s that simple. As a dog owner, you should understand that some dogs are allergic to perfumed puppy dandruff shampoo, so when you are shopping for your dog supplies, make sure to keep that in mind too. If you are new to the Pet Club, make sure to subscribe and gain access to helpful resources for you and your pet. We have resources available to help you catch up to what is going on in your area that involves your pet and other family members too. From group dog walking, Pup fit clubs to pet keeping training talks; it’s all here! Dogs skin can sometimes get clogged with dead skin cells, you will need puppy dandruff shampoo to lift all those dead cells so your beloved pet can enjoy a clean covering without worrying about dog skin shedding. Some quarters online have encouraged the use of head and shoulders shampoo to get rid of dog dandruff. While this might work for many, I would err on the side of caution here, puppy dandruff shampoo and human’s head and shoulders are worlds apart, think of what an allergic reaction to parabens found in many human beings cosmetics can do to your dog. Instead, invest your time in finding the best dog dandruff olive oil, combined with some of the best dog dandruff shampoo, you will surely achieve better results while keeping your dog healthy. Plenty of evidence and glowing testimonials are available for what dog dandruff olive oil can do for your dog when combined with the use of dog dandruff coconut oil. Just like on humans, the dog’s dry skin can benefit from an excellent lick of dog dandruff coconut oil and soothing oatmeal. Think of dog dandruff coconut oil and soothing oatmeal as the dog’s spa date where they get their own TLC that helps them to get on top of puppy dandruff mites. Coconut oil has significant benefits to your dog’s overall health. This applies to whether you are applying and making use ofdandruff coconut oilon the dog’s coat, or you are including coconut oil into the pet’s supplementary dietary needs. Coconut contains Lauric acid, which is a fantastic immunity building agent when consumed or applied directly on to your dog skin. Make sure that your pet dog has plenty supply of Supplement Omega-3 Fatty Acids. Introducing Omega 3 fatty acids into your pet helps to calm down issues to do with alot of dogs that have significant health problems caused by too much inflammation in the body. Your pet dog could most likely benefit from supplements with higher concentrations of Omega 3 fatty acids. Checkout, these Examples of Omega 3 fatty acids, include ALA also known as alpha linoleic acid), EPA (eicosapentaenoic acid), and DHA (docosahexaenoic acid). The benefits of Omega 3 Fatty Acids often do not stop there! In fact, Omega 3 fatty acids a popular choice for many pet owner as a nutritional supplement for dogs. In case you did not know, many of these omega 3 fatty acids are promoted by pet shops and Vets as they are believed to help with skin conditions, allergies, kidney function, lymphoma, heart disease, cognitive function, arthritis, and more. Personally, I use coconut oils and these other omega 3 fatty acids as a topical treatment for dog skin problems. On top of making sure that my dog is consuming enough of coconut oil. If you were not aware of the healing power behind omega 3 fatty acids, now you know and can start using it as a topical treatment for some dog skin problems. Use coconut oil to treat Dry patches, itchy skin, hot spots, infections, etc. All you have to do is just rub a generous amount of coconut oil directly onto your dog’s skin. With dog dandruff, comes the scratching and braised dog skin which can leave your dog exposed to bacteria and infections. Washing your dog with lime juice helps to keep the bacteria from invading the dog’s urinary tract. Others use hydrogen peroxide as a home remedy for hot spots on dogs and washing of the bruised areas. By disinfecting these dog injuries, and applying compresses, you are simply giving your dog a fighting chance to stay on top of these threats. How To Mix Hydrogen Peroxide? Firstly, you must wash the infected area with an astringent solution or a mild antiseptic solution based on water. For example, you can prepare a simple mixture of water, hydrogen peroxide (3%) and alcohol. Make sure to use a Humidifier or controlled temperature to dry your dog and not blow drying with a Dyson human hair dryer. Is dog dandruff contagious to humans? What causes excessive dandruff in dogs? What is the cause of dog dandruff? How can I hydrate my dog’s skin?